Interior design and architecture. Kitchen and dining room in new lodging. Wooden home furniture and floor in apartment. 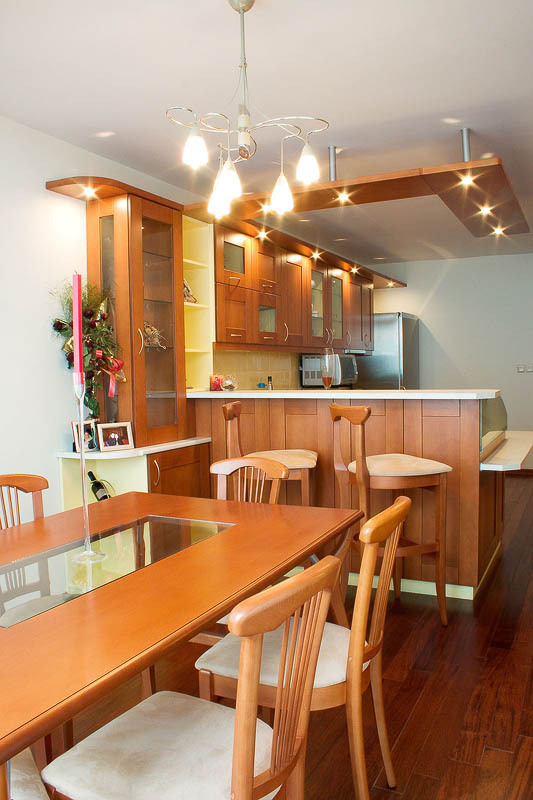 Modern kitchen room with cupboards, breakfast bar, integrated lighting and beautiful table with chairs.